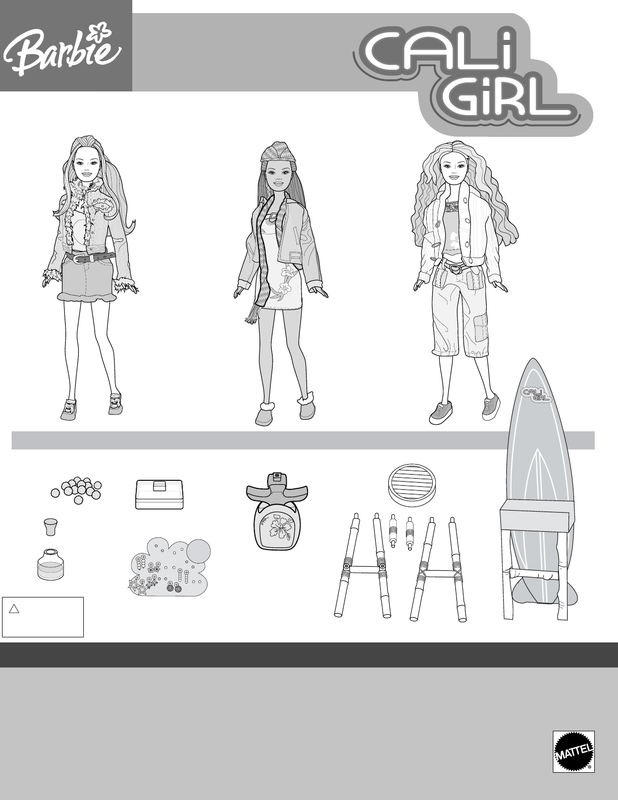 Contents include (1) doll pictured above and all of the accessories shown below. © 2004 Mattel, Inc. El Segundo, CA 90245. U.S.A. All Rights Reserved. for future reference as they contain important information. If any items are missing, please call 1-800-524-TOYS. Dolls sold separately. Subject to availability. Fashions, colors and decorations may vary. ADULTS NOTE: Cut the plastic attachment with safety scissors and discard pieces.